Choosing to take nutritious breakfasts based on fruits, proteins and cereals, is a guaranteed success, in terms of nutrition and health. In addition, we make sure to get the necessary energy for the day. The importance of incorporating fruits to breakfast lies in the fact that, this is the ideal time to take advantage of fructose, satiate our cravings for sweet and thus avoid cravings for sweets and refined sugars the rest of the day. The nutritional properties of fruits are especially beneficial after many hours of fasting at night. The sugars in fruits are easily digested in the morning, which generates energy quickly for the body. Additionally, nutritious breakfasts based on fruits allow us to hydrate our body, something that is reflected even in our skin. Fruits are very versatile foods and, because of their great variety of flavors and textures, they can please all palates. Ideally, you can try different combinations so as not to get bored eating the same thing. 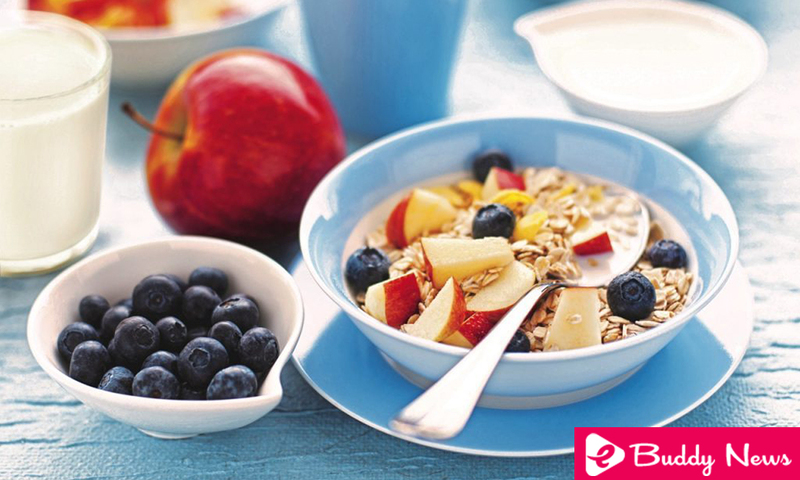 Here are four practical and delicious ideas for preparing nutritious fruit-based breakfasts. Yogurt is a classic probiotic that helps preserve our intestinal flora, improves digestion and absorption of nutrients. And it also helps to strengthen our immune system. When combined with antioxidant vitamins of red fruits and “good fats” (omegas 3 and 6), we obtain a powerful nutritious breakfast based on fruits. To prepare your healthy breakfast, just mix 1 natural yogurt (approximately 180 grams), 2 tablespoons (tureens) of red fruits and 1 tablespoon (10 grams) of chia seeds. Ideally, let it rest for 10 or 15 minutes before eating, so that the chia hydrates and is easier to digest. The traditional pancakes are delicious, but they provide few fibers and many poor carbohydrates. To improve your nutritional intake without losing flavor, we suggest you try these delicious oatmeal pancakes. Here we present the ingredients you will need so you can check which foods you should replace compared to the traditional recipe. 2 egg whites, without the yolk, (40 g). Strawberries and honey to accompany (to taste). 1/3 cup of flaked oats (50 grams). 1/2 teaspoon ground cinnamon (2 g). 1 tablespoon of organic coconut oil. 3 tablespoons of almond drink (you can use cow’s milk). 1 teaspoon mascabado sugar, you can also use honey or stevia, (10 g). Beat the egg whites until they foam. Then, we add the coconut oil and the almond milk and continue beating to incorporate. We add the oats, the cinnamon, the muscovado sugar and the pinch of salt. If we see that the dough is very thick, we can add one more spoonful of vegetable milk or a small stream of water. The cooking technique is exactly the same as the traditional one. We take a Teflon pan, spread the dough forming the pancake, cook on both sides and let rest a few minutes. When the pancakes are cooked, you can serve them with the fruits and accompaniments of your choice. On this occasion, we propose to enjoy them with fresh strawberries and organic honey. Kefir is a natural probiotic that offers various benefits to our immune, digestive and cardiovascular systems. To incorporate it into your fruit-based breakfasts, just substitute the common milk with kefir and prepare a protein shake. Beat in the blender a medium peach, 1/2 banana and 200 milliliters (1/2 glass) of kefir. The result should be a thicker shake than a traditional smoothie, which can be eaten by spoonfuls. A delicious breakfast for those who enjoy bittersweet combinations of fruits, dairy and bread. To prepare it, we should count on fresh lean ricotta, finely sliced pear, chopped nuts and slices of wholemeal bread. We toast the slices of whole wheat bread, cut the pears and chop the nuts. Then, we spread the toast with the ricotta, arrange the thin slices of pear on top and sprinkle the nuts at the end. The recommended portion is 1 to 2 slices per person.